RER, INC. is a One-Call Company. . . Founded by Duncan Elliott we have been serving greater South Bay, Los Angeles, Orange County and Ventura County since 1986. We have a large number of satisfied customers including General Contractors, Commercial Accounts, Emergency Service Providers, Roofing Contractors, Property Management Companies and Homeowners. HONEST & RELIABLE... Let RER, Inc. save you time and money. We keep in contact with our customers. Superintendants are in constant communication with the office staff so we are always reachable should any changes be necessary at the jobsite. 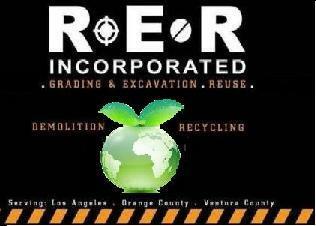 RER, Inc is a CERTIFIED Contractor for the "REUSE PEOPLE of AMERICA"